Disestablishment of Paternity: Florida law regarding the disestablishment of paternity is very specific. Florida Statute 742.10 Establishment of paternity for children born out of wedlock. Imagine this scenario. A couple dates on and off casually; neither are sexually exclusive. The woman cannot be sure who the father is, so she convinces the man with the best job, that he is the father. He signs a paper admitting that he is the father, believing it to be true. Three months later he finds out that the baby is not his. The burden is on him for disestablishment of paternity. Fathers absolutely should live up to their obligation to financially support their children. Child support awards depend on both parents’ incomes. 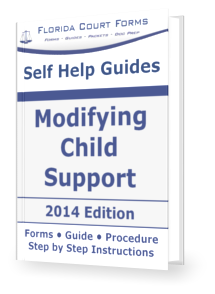 It is not unusual for a child support obligation for one child to be upwards of $600. per month. Over 18 years, $600. per month equals $129,600. However, if the child is not theirs, alleged fathers have a way out. Florida law regarding the disestablishment of paternity is very specific. That is the easy part to disestablishment of paternity. That rescission only applies if the alleged father realizes he is not the father within 60 days of signing the paper. If the alleged father does not realize until 90 days after signing the paper, as in our opening scenario, things become more complicated, and more specific. 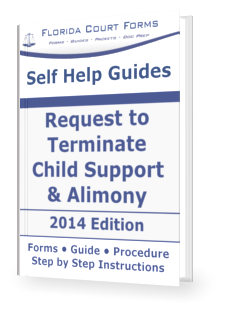 Florida Statute 742.18, Disestablishment of Paternity or Termination of Child Support Obligation governs. • Newly discovered evidence relating to the paternity of the child has come to the petitioner’s knowledge since the initial paternity determination or establishment of child support obligation. • The alleged father must also present scientific evidence that disputes his paternity; or if he has no access to the child for a scientific test of the child; then he must request the court to order a scientific test of the child. • He must be current on his child support payments. And he must not have signed an acknowledgment of paternity after he discovered he was not the father; he must not have married the mother; he must not have adopted the child. • The child may not have been conceived by artificial insemination while the alleged father was married to the mother; the child is younger than eighteen. (b) Mistakes; Inadvertence; Excusable Neglect; Newly Discovered Evidence; Fraud; etc. • newly discovered evidence which by due diligence could not have been discovered in time to move for a new trial or rehearing.